Folks on Twitter are naming Kim and Kanye's baby - and it's great! Folks on Twitter are naming Kim and Kanye’s baby – and it’s great! Hot on the heels of Kim and Kanye’s baby announcement comes an avalanche of baby name suggestions as the good people of Twitter make their Kardashian-watching voices heard. As Kim says the couple’s third baby was born with some help from a surrogate, and the mum-of-three has been celebrating the big event with fans on Twitter and Instagram. 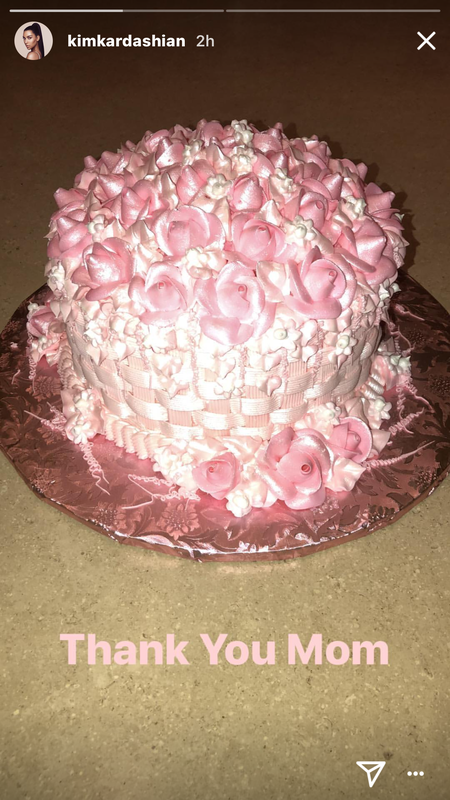 There was an amazing pink cake from her mum, Kris Jenner. 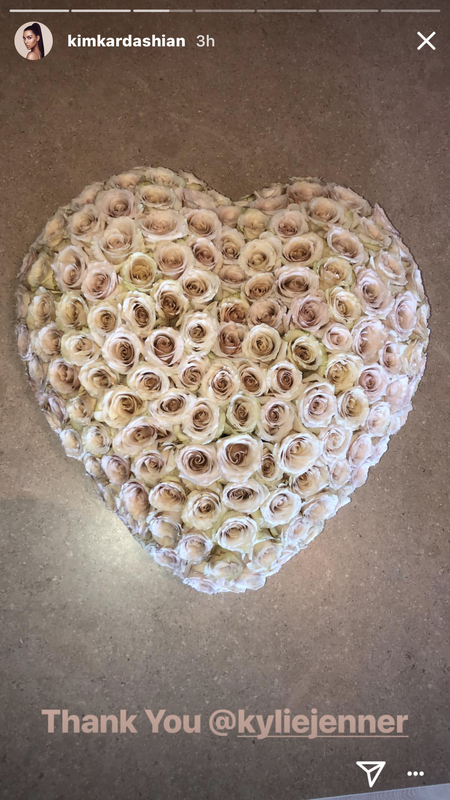 There were gorgeous flowers from sister Kylie. 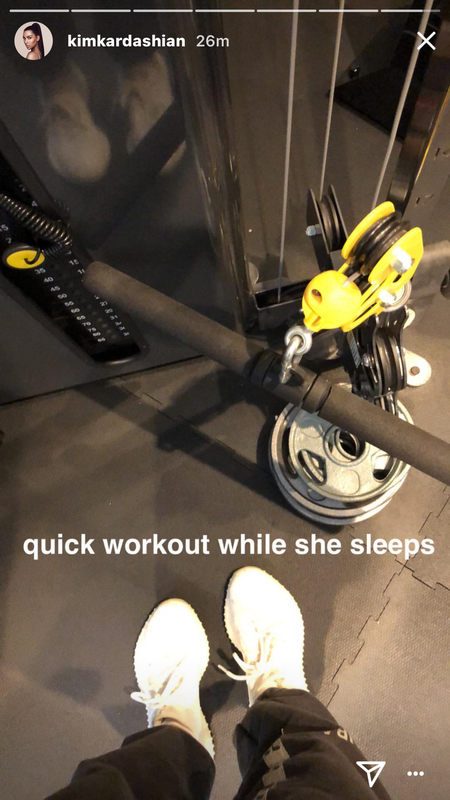 And also a glimpse of her first mum-of-three workout (below) – not a treat, we’ll admit, but Kim should do Kim. And as mentioned, there were lots of baby name ideas in the mix, too. It seems followers are both excited and demoralised by the thought of a new Kardashian. They’re using Twitter to pick a side – and suggest some freaky and fitting names for four-year-old North and two-year-old Saint’s new baby sis. The list – and quips – actually go on and on – and on. Amidst this excited jumble of names for the tiny Miss West, people were keen to raise another pertinent topic – whether this is all a giant conspiracy and KYLIE JENNER acted as Kim’s surrogate! You probably know that Kylie Jenner is apparently pregnant. Reports allege that she’s due to deliver some time in the next few weeks – and in fact rumours were swirling on the weekend that Kylie had already given birth. We’re not sure about that. The family have not commented on the Kylie-as-surrogate theory and as media outlets hounded the woman they think is Kim’s surrogate, the couple got on with the job of preparing for their newest addition. While the idea of Kylie as Kim’s surrogate is a juicy one indeed, we’re pretty certain that Kylie is still pregnant and will be having her own baby very, very soon. But imagine if it’s true. #PlotTwist But it’s not. Is it?! Argh. In the mean time, we’ll keep our ear to the ground for the actual baby name, and look forward to seeing this cute tot when her parents are ready to share.